MajesticPointe! Book your 2018 Family Vacation Now! 4 Bedrooms, 4 Full Bathrooms! Just steps away from the Lake! The best way to find out more about booking this property is to call Carol Hommel at 540 420 0584. 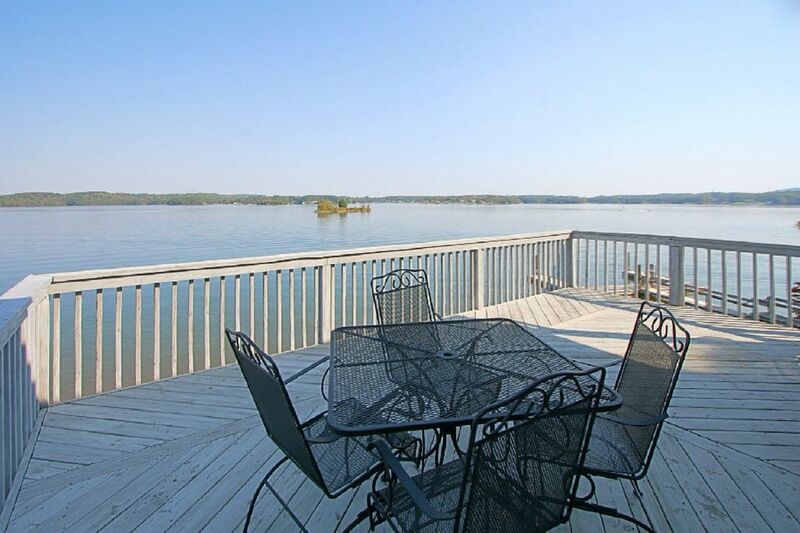 Located at the end of the Peninsula at Bernard's Landing, you will love the oversized decks! The place is so close to the water, that you will feel like you are in a boat! On the main level it has a great room, updated kitchen, king bedroom, and a bedroom with a full bed, and 2 full bathrooms. Upstairs there is a queen bedroom and family room with a sleeper sofa, and a full bathroom. Downstairs, is another family room,, games, wet bar, and a queen bedroom and full bath. The space is great for a family, plenty of room to be together, and also have your own space when you want it. Walk to the pools, tennis, new pickle ball courts, workout room, beach.......dock just steps away. We have stayed at many Bernard's Landing properties, but this is one of the finest. The townhome was beautifully decorated and the sleeping arrangements were perfect for our group. The best feature is the incredible view! This unit is closer to the water than the others in the building and nothing blocks your view of the lake. Bernard's Landing is a perfect vacation resort. We spent the week boating, waterskiing, kayaking, and swimming in the resort pool. The location is the best on the lake, with spectacular wide water and mountain views, proximity to a large grocery store and shops, and easy access by boat to the whole lake. We would definitely stay at Majestic Pointe again! Thank you so Much! The owners of this Vacation Home really want their guests to enjoy staying here! For booking this home, you will need a deposit of $500.00. 30 days prior to arrival you will need to pay the balance plus a damage deposit of $500.00. Linens and towels are not included. You may rent a package for $100 If you are bring a boat, docking permits are $10 per day.